Bring parts from your workplace for review! Laguardia (LGA) is the closest NY airport to our office and usually has the best airline rates. Our office is about 60 minutes from the LGA when there is no traffic. Bradley International is located in northern CT and is approximately 60 minutes from our office. There is no shared shuttle service from Bradley International to Fairfield CT hotels. Private taxi service is available and costs approximately $176 each way. The enrollment fee of $895 is due in full prior to the class. We accept credit card, check, or wire transfer. Payment is required to complete registration. Classes will be reserved for those who are registered. There is a maximum of 8 registrants per class. Course registration may be canceled up to 30 days prior to the class for a full refund. Cancellation less than 30 days prior to the first day of class will result in forfeiture of enrollment fee. –Julius Szalay | Bic Corp.
–Luis Belli | Grenier Bio-One N.A. Inc.
–Alex Rodriguez | Superior Plastic Products Inc.
"Great class! Exposed to many techniques and materials. Instructor and staff were extremely helpful and knowledgeable. I would recommend to anyone that wants a better understanding of polishing." 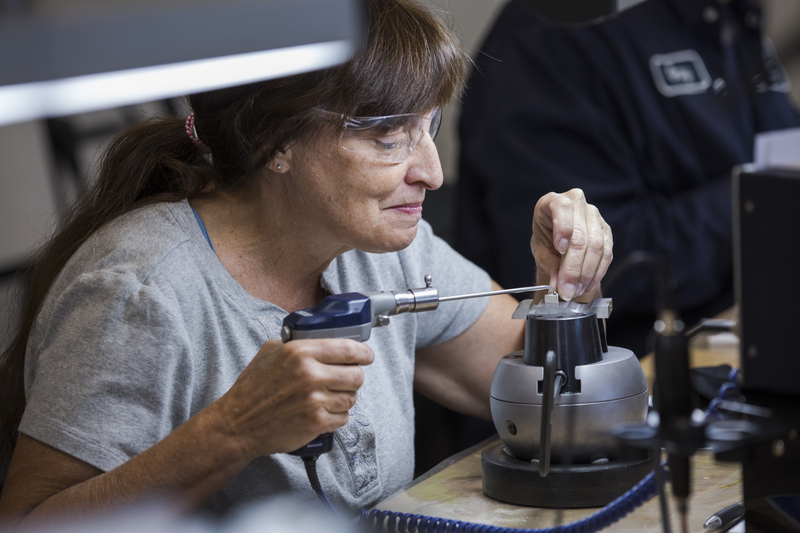 "Your product and customer service were excellent during the mold polish class. I took full advantage of everything I learned and have already begun using some of the techniques. Thank you Gesswein. –Robert Andruchow | Tiffany & Co.
"A great class with great people. 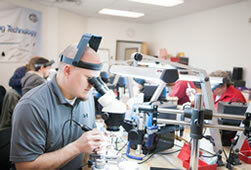 It was a pleasure to learn new and more effective polishing methods." 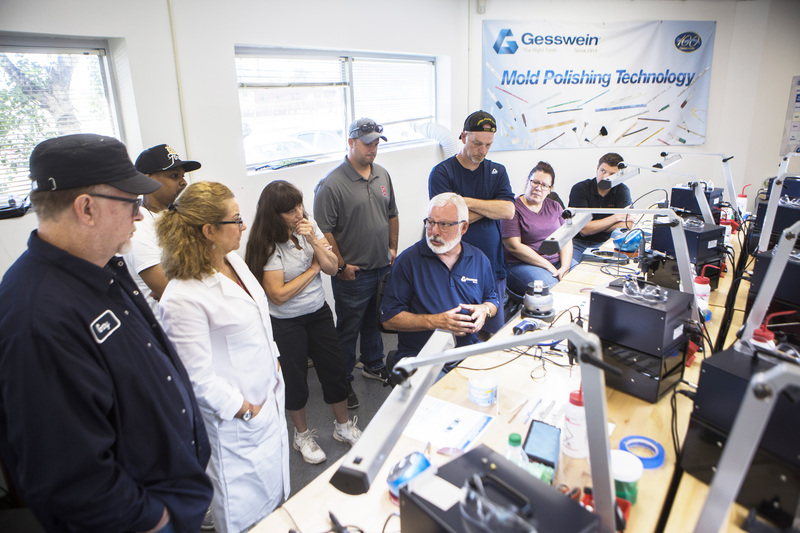 –Dustin Shamblen | Mack Molding Co.
"The staff at Gesswein was very helpful and friendly which added to the entire experience, it made me feel welcome. Thank you Donald and Greg!" "The course exceeded our expectations. We are extremely confident from the knowledge gained to improve the quality of our work." –Gordon Menzies | PH Molds Ltd.
"I had an awesome time. I learned some new tricks in a lot of areas that will be very useful. Thank you very much."